The million-copy bestselling author returns with a breathtaking thriller. Finn and Layla: young and in love, their whole lives ahead of them. Driving back from a holiday in France one night, Finn pulls in to a service station, leaving Layla alone in the car. When he returns, minutes later, Layla has vanished, never to be seen again. That's the story Finn tells the police. It's the truth - but not the whole truth. Twelve years later, Finn has built a new life with Ellen, Layla's sister, when he receives a phone call. Someone has seen Layla. But is it her - or someone pretending to be her? If it is her, what does she want? And what does she know about the night she disappeared? 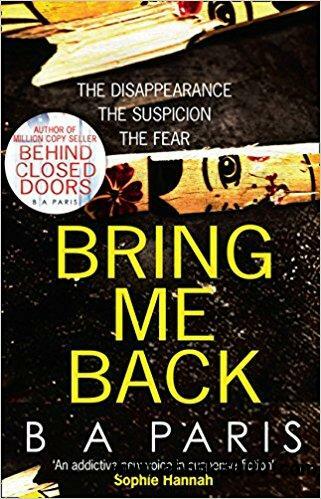 Bring Me Back is the utterly compelling, white-knuckle thriller from Sunday Times bestseller B A Paris.